Love this! I can’t say this enough! I’ve been very fortunate to work for employers who understand that I won’t just dive in as their HR Manager until I’ve been able to work on the floor side by side with the people who are going to need me the most in the future. Validation is not found in our polices or the “work” we do, validation comes in understanding and supporting those who do the work so that when they need HR, they know and trust that they have someone who has stood next to them for the day to day struggles. Your message is great and I thank you for writing it. 100% – I’m in our Denver plants weekly and our Iowa plant monthly. It matters. NO technology can replace facetime, nor can you fully understand staff’s work, wins, and frustrations unless you really see them. Work the same shift as your primary workforce occasionally. Then you know at least a portion of the full story. View your office as a prison. 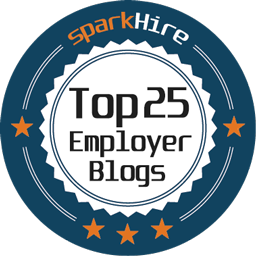 Knowing, understanding and acting on your employees interests isn’t something that can be handled entirely from your office or cube. Get out where your people are. You’ll be a better HR person because of it, and you’ll gain some instant credibility with employees for meeting them where they are – not at your desk. We lose touch when we don’t spend time in the trenches. The landscape changes quickly, dig deeper! 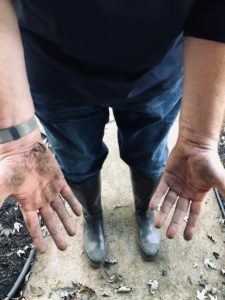 My wife, a former kindergarten teacher, used to tell the kids who were reluctant, “You can’t have fun if you don’t get dirty.” You’re right, Steve, getting dirty is where the fun , and work, is. Thanks for writing and sharing the article. Previous Previous post: What You Have . . .
Next Next post: The Best Gift to Give ! !